Okay, so you guys really seem to LOVE when I talk about skincare. It’s also one of my favourite topics to delve into, actually! There’s just so much to know, and you can honestly never know enough. With new technology coming out every second, things are always changing, evolving, and that affects the beauty world as well. Our anti-aging creams are getting stronger, masks are becoming more potent, and we’re seeing A LOT more organic, natural products on the market. Anyway, I will do more skincare stuff if you guys are into it. I know many of you want the FULL rundown of my AM/PM routines. And I will get to that. But today, I want to show you guys how easy it is to care for your skin with regular facial masks. It’s something that your skin NEEDS and craves. And whatever your skin issues are, I assure you they will improve with the right mask. Now, I’ve tried and test almost a billion masks in my lifetime. I get sent masks all the time and on top of that, when I see a good one at the drugstore or the Winners “natural section”, I buy those too. I’m just your guinea pig when it comes to masks. And Andrew loves it when I say “we’re trying out these new masks tonight, honey.” Should I do a post on “How to trick your guy into taking care of his skin 101”?? LMK in the comments. Anyway, the great thing about masks is that you can target different skin problems with different masks. So, if you’re dry and need hydration, there’s a mask for that. If you’ve got acne, there’s a mask that can help you get rid of that. If you’re fighting redness or uneven skin tones, there’s a mask that will target complexion. Literally any skin problem you can think of, there’s a mask for that! So like, get on board guys. SUBTLE GREEN’S SIGNATURE BLEND MASQUE VISAGE. With 100% organic ingredients. Think fruit extracts, turmeric, coconut milk, honey, macca root powder, rose petal powder, green tea, Rose hip, AND MORE. Like, you can basically eat this. It’s got ALL the superfoods in this mask. So, it’s a powdered mask which you mix with water, or whatever base you want. In the video below, you’ll see I’ve added a bit of coconut oil for extra hydration. I’m not going to get into too much detail here, because everything you need to know about this mask is in this video. I’ve even applied it step by step to show you how it’s done. I’ve been obsessed with it! It kind of reminds me of the time I went for a mud bath in St. Lucia. PURE HEAVEN. 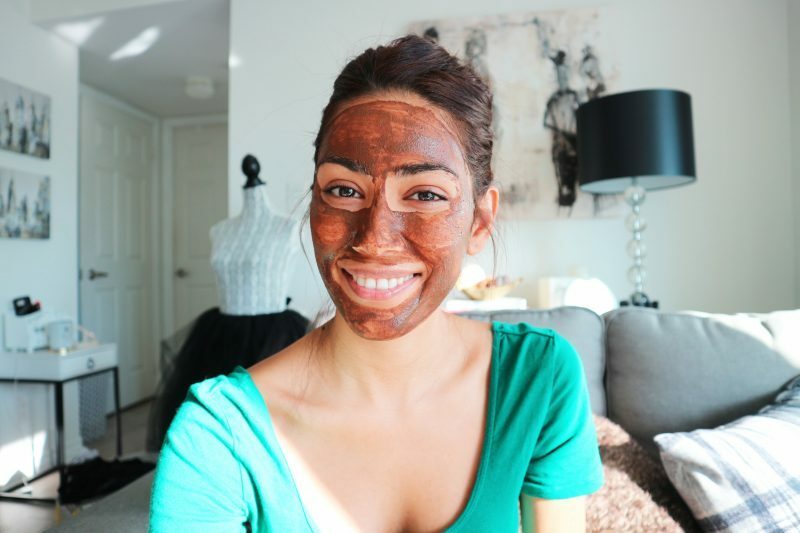 Oh and the mask smells like chocolate. Okay, watch this video, and then go get this mask. You will LOVE. However, the mask is not yet available. But mark your calendars for April 18th, as that’s when it goes on sale! It’s a tad expensive ($72.50), but remember what I said about spending your money on your skin! 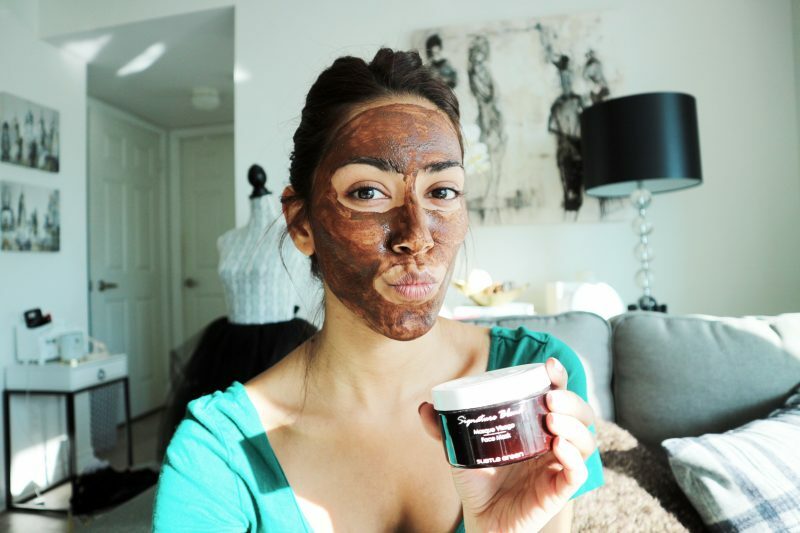 Adding almond oil and mashed avocado to the mixed masque will increase your skin`s moisture and improve texture. This is especially good for dry skin as avocado has healthy omega-3 fatty acids which protect against moisture loss and revive skin’s texture, leaving you with soft, smooth skin. Mix all ingredients together slowly until blended and smooth. Apply to face for 10 minutes, gently remove with a soft washcloth and warm water. Tip: substitute olive oil or coconut oil for almond oil. Raw and unpasteurized honey is anti-bacterial and a natural humectant that draws moisture to the skin. Couple that with yoghurt which will work with the masque to dissolve dead skin (high in lactic acid). This combination can enhance the smooth glow that the masque leaves behind, great for toning the skin for a night out. Add yoghurt to premixed mask, stir until smooth, then slowly drizzle honey into the mixture as you continue to stir. Apply to face for 10 minutes, and gently remove with a soft washcloth and warm water. Tip: substitute thick cream or milk for yoghurt. Apple cider vinegar does wonders for oily, acne prone skin for one main reason – pH level. It is acidic and astringent with natural Alpha Hydroxyl Acids (AHAs). Adding this to your mixed mask will leave your skin clear and clean. Add apple cider vinegar to premixed mask, stir until mixture is consistent. Apply to face, leave on for 10 to 15 minutes, and gently remove with a soft washcloth and cool water. Tip: substitute apple cider vinegar with freshly squeezed lemon juice or pure cranberry juice for the same results. Hope you guys enjoyed that! Let me know what other videos you’d like to see on the blog! 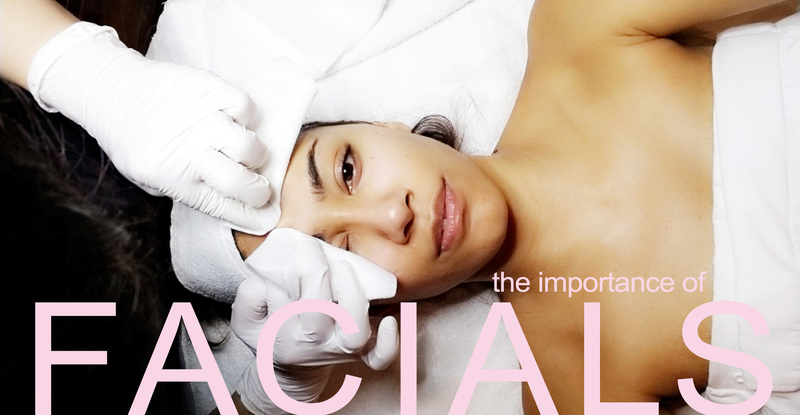 Previous Post THE IMPORTANCE OF FACIALS. Next Post LIFE LATELY: RELAX.